Young American – Iranian artist, Eric Parnes, captures the architectural details and the ephemera of a bygone era of the Iranian Embassy on 3005 Massachusetts Avenue, once famous for hosting A-list parties before the the fall of the Shah of Iran in 1979. Geraldine Lee reports from Dubai. 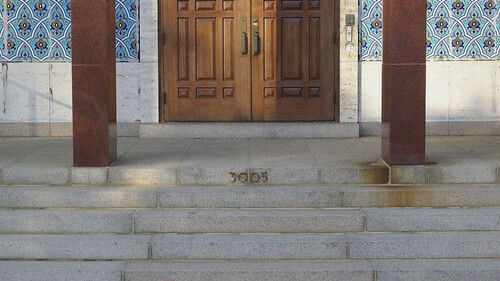 In its heyday, the Iranian Embassy on 3005 Massachusetts Avenue was famous for hosting A-list parties where the Dom Pérignon champagne and Beluga caviar flowed freely. In the shimmering high domed ballroom, lined with Isfahani-style mirrored mosaics and filled with artefacts in display cabinets, guests indulged in hedonistic pleasures and rubbed shoulders with the political and cultural glitterati the likes of Andy Warhol, Henry Kissinger, Elizabeth Taylor and Frank Sinatra; All drawn like moths to a flame by the opulence and extravagance of the soirees thrown by the suave, then-Ambassador to Iran, Ardeshir Zahedi. The revelry was cut short in 1979 with the fall of the Shah of Iran and diplomatic ties with the United States were effectively severed with the ensuing hostage crisis in Tehran: The event forms the source of the Ben Affleck-helmed movie, Argo. Since the shuttering of the embassy, the building has lain abandoned. And while Iran still owns the building, the government has no access to the premises. It is the State Department of the United States that provides security and maintenance for the site as the country is legally obliged by the Vienna Convention on Diplomatic Relations to protect diplomatic property; thus serving as custodian of the Iranian Embassy and providing the exhibition with its eponymous title. Conceptually, the grainy texture of the photos creates an ambience similar to surveillance cameras of the time, whose ubiquitous box-like presence can be seen all over the grounds of the embassy and lends an overall eerie, haunting quality to the images. Parnes’s discerning eye captures architectural details and the ephemera of a bygone era. 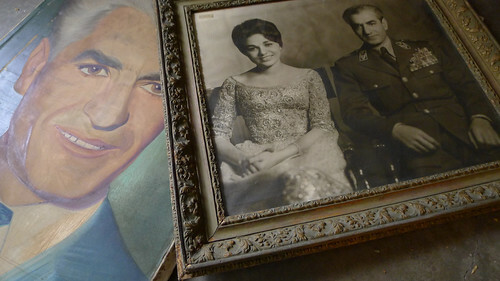 His photos of the interior of the embassy reveal discarded portraits of the Shah of Iran, rows of cabinets still filled with diplomatic documents and ballroom chairs stacked haphazardly in a corner as if in anticipation of another impending party. The calmness and silence exuded from these photos is almost deafening, accentuating the poignancy of what once was. Running through Parnes’s layered artistic documentation is his trademark Neo Orientalist™ discourse; an analysis of the dynamics between the East and West on both an aesthetic and socio-political level. Delving past the pejorative aspect of Orientalism, Parnes explores the issues of identity as he searches for the shared commonalities between the East and West. Parnes optimistically views the fact that despite its stripped down and shabby state, the embassy is still standing and as such may one day be restored and reopened if diplomatic relations between Iran and the United States were to resume. And this undeniably is a sentiment that resonates, for no matter how trying the times or dire the situation, we should never lose hope nor let optimism be extinguished. 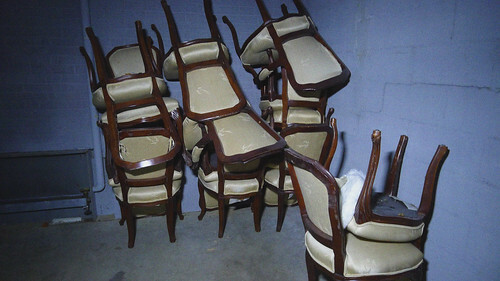 Custodian of Vacancy: The Iranian Embassy in the USA will run until 30 January 2014 at Ayyam Gallery DIFC. Born in the West with immediate family roots in Iran, Eric Parnes’ vision reflects one’s internal struggle to define identity and can be traced to early childhood experience. 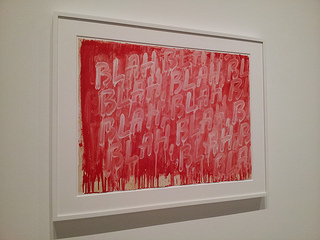 As a conceptual artist, the catharsis of creation has compelled him to examine and portray the perceived differences and similarities of the world in which he was born, as well as the echoes of the eras of my forefathers, allowing his concentration on crafting a series of works that revise and explore one’s understanding of ‘The Orient’. Today, the delineations between the East and West are increasingly blurred, with the cardinal points both exporting and interpreting their respective societies. As an artist seeking to define Neo- OrientalismTM, Parnes’ work continues to explore this intriguing correlation and contribute to the intersection of culture and modern identity. Today, Ayyam Gallery is recognised as a leading cultural voice in the region, representing a roster of Arab and Iranian artists with an international profile and museum presence. A number of non-commercial exhibitions, as well as the launch of Ayyam Publishing, Ayyam Editions, and The Young Collectors Auction, have further succeeded in showcasing the work of Middle Eastern artists with the aim of educating a wider audience about the art of this significant region. Ayyam Gallery Damascus currently functions as a studio and creative haven for artists who remain in the war-torn city. 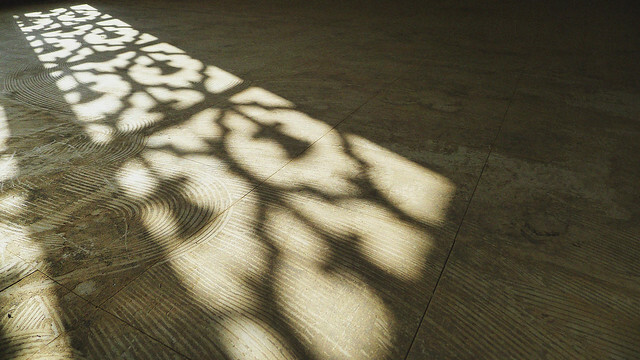 In early 2013, Ayyam Gallery launched new spaces in London and Jeddah. Elephant Parade light up Orchard Road!